Cribriform-morular variant of papillary thyroid carcinoma: molecular characterization of a case with neuroendocrine differentiation and aggressive behavior. Cameselle-Teijeiro J, Menasce LP, Yap BK, Colaco RJ, Castro P, Celestino R, Ruíz-Ponte C, Soares P, Sobrinho-Simões M. Am J Clin Pathol. 2009 Jan; 131(1):134-42. doi: 10.1309/AJCP7ULS0VSISBEB. Correcting for purifying selection: an improved human mitochondrial molecular clock. Soares P, Ermini L, Thomson N, Mormina M, Rito T, Röhl A, Salas A, Oppenheimer S, Macaulay V, Richards MB. Am J Hum Genet. 2009 Jun; 84(6):740-59. doi: 10.1016/j.ajhg.2009.05.001. Epub 2009 Jun 4. Mitochondrial haplogroup U5b3: a distant echo of the epipaleolithic in Italy and the legacy of the early Sardinians. Pala M, Achilli A, Olivieri A, Kashani BH, Perego UA, Sanna D, Metspalu E, Tambets K, Tamm E, Accetturo M, Carossa V, Lancioni H, Panara F, Zimmermann B, Huber G, Al-Zahery N, Brisighelli F, Woodward SR, Francalacci P, Parson W, Salas A, Behar DM, Villems. Am J Hum Genet. 2009 Jun; 84(6):814-21. doi: 10.1016/j.ajhg.2009.05.004. Epub 2009 Jun 4. Identification of new putative susceptibility genes for several psychiatric disorders by association analysis of regulatory and non-synonymous SNPs of 306 genes involved in neurotransmission and neurodevelopment. 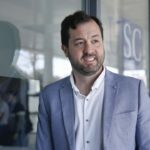 Gratacòs M, Costas J, de Cid R, Bayés M, González JR, Baca-García E, de Diego Y, Fernández-Aranda F, Fernández-Piqueras J, Guitart M, Martín-Santos R, Martorell L, Menchón JM, Roca M, Sáiz-Ruiz J, Sanjuán J, Torrens M, Urretavizcaya M, Valero J, Vilella E. Am J Med Genet B. 2009 Sep 5; 150B(6):808-16. doi: 10.1002/ajmg.b.30902. Recent adaptive selection at MAOB and ancestral susceptibility to schizophrenia. Carrera N, Sanjuán J, Moltó MD, Carracedo A, Costas J. Am J Med Genet B. 2009 Apr 5; 150B(3):369-74. doi: 10.1002/ajmg.b.30823. Evaluating the ability of tree-based methods and logistic regression for the detection of SNP-SNP interaction. García-Magariños M, López-de-Ullibarri I, Cao R, Salas A. Ann Hum Genet. 2009 May; 73(Pt 3):360-9. doi: 10.1111/j.1469-1809.2009.00511.x. Epub 2009 Mar 8. Contamination and sample mix-up can best explain some patterns of mtDNA instabilities in buccal cells and oral squamous cell carcinoma. Bandelt HJ, Salas A. Bmc Cancer. 2009 Apr 16; 9:113. doi: 10.1186/1471-2407-9-113. Molecular analysis of the APC and MUTYH genes in Galician and Catalonian FAP families: a different spectrum of mutations?. Gómez-Fernández N, Castellví-Bel S, Fernández-Rozadilla C, Balaguer F, Muñoz J, Madrigal I, Milà M, Graña B, Vega A, Castells A, Carracedo A, Ruiz-Ponte C. Bmc Med Genet. 2009 Jun 16; 10:57. doi: 10.1186/1471-2350-10-57. Two-stage case-control association study of dopamine-related genes and migraine. Corominas R, Ribases M, Camiña M, Cuenca-León E, Pardo J, Boronat S, Sobrido MJ, Cormand B, Macaya A. Bmc Med Genet. 2009 Sep 21; 10:95. doi: 10.1186/1471-2350-10-95. Distinctive Paleo-Indian migration routes from Beringia marked by two rare mtDNA haplogroups. Perego UA, Achilli A, Angerhofer N, Accetturo M, Pala M, Olivieri A, Kashani BH, Ritchie KH, Scozzari R, Kong QP, Myres NM, Salas A, Semino O, Bandelt HJ, Woodward SR, Torroni A. Curr Biol. 2009 Jan 13; 19(1):1-8. doi: 10.1016/j.cub.2008.11.058. A new multiplex for human identification using insertion/deletion polymorphisms. Pereira R, Phillips C, Alves C, Amorim A, Carracedo A, Gusmão L. Electrophoresis. 2009 Nov; 30(21):3682-90. doi: 10.1002/elps.200900274. Applications of MALDI-TOF MS to large-scale human mtDNA population-based studies. Cerezo M, Cerný V, Carracedo A, Salas A. Electrophoresis. 2009 Nov; 30(21):3665-73. doi: 10.1002/elps.200900294. Moors and Saracens in Europe: estimating the medieval North African male legacy in southern Europe. Capelli C, Onofri V, Brisighelli F, Boschi I, Scarnicci F, Masullo M, Ferri G, Tofanelli S, Tagliabracci A, Gusmao L, Amorim A, Gatto F, Kirin M, Merlitti D, Brion M, Verea AB, Romano V, Cali F, Pascali V. Eur J Hum Genet. 2009 Jun; 17(6):848-52. doi: 10.1038/ejhg.2008.258. Epub 2009 Jan 21. The Etruscan timeline: a recent Anatolian connection. Brisighelli F, Capelli C, Alvarez-Iglesias V, Onofri V, Paoli G, Tofanelli S, Carracedo A, Pascali VL, Salas A. Eur J Hum Genet. 2009 May; 17(5):693-6. doi: 10.1038/ejhg.2008.224. Epub 2008 Dec 3. Association of MUTYH and MSH6 germline mutations in colorectal cancer patients. Giráldez MD, Balaguer F, Caldés T, Sanchez-de-Abajo A, Gómez-Fernández N, Ruiz-Ponte C, Muñoz J, Garre P, Gonzalo V, Moreira L, Ocaña T, Clofent J, Carracedo A, Andreu M, Jover R, Llor X, Castells A, Castellví-Bel S; Gastrointestinal Oncology Group of the. Fam Cancer. 2009; 8(4):525-31. doi: 10.1007/s10689-009-9282-4. Epub 2009 Aug 15. Haplotype and quantitative transcript analyses of Portuguese breast/ovarian cancer families with the BRCA1 R71G founder mutation of Galician origin. Santos C, Peixoto A, Rocha P, Vega A, Soares MJ, Cerveira N, Bizarro S, Pinheiro M, Pereira D, Rodrigues H, Castro F, Henrique R, Teixeira MR. Fam Cancer. 2009; 8(3):203-8. doi: 10.1007/s10689-008-9229-1. Epub 2009 Jan 3. The genetic male component of two South-Western Colombian populations. Acosta MA, Blanco-Verea A, Lareu MV, Brion M, Carracedo A. Forensic Sci Int Genet. 2009 Mar; 3(2):e59-61. doi: 10.1016/j.fsigen.2008.06.006. Epub 2008 Aug 8. Genetic variability of the SNPforID 52-plex identification-SNP panel in Central West Colombia. Porras L, Phillips C, Fondevila M, Beltrán L, Ortiz T, Rondon F, Barreto G, Lareu MV, Henao J, Carracedo A. Forensic Sci Int Genet. 2009 Dec; 4(1):e9-10. doi: 10.1016/j.fsigen.2008.12.003. Epub 2009 Jan 24. Testing the performance of mtSNP minisequencing in forensic samples. Mosquera-Miguel A, Alvarez-Iglesias V, Cerezo M, Lareu MV, Carracedo A, Salas A. Forensic Sci Int Genet. 2009 Sep; 3(4):261-4. doi: 10.1016/j.fsigen.2009.04.006. Epub 2009 May 20. The Karimojong from Uganda: genetic characterization using an X-STR decaplex system. Gomes I, Pereira V, Gomes V, Prata MJ, Pinto N, Carracedo A, Amorim A, Gusmão L. Forensic Sci Int Genet. 2009 Sep; 3(4):e127-8. doi: 10.1016/j.fsigen.2008.10.009. Epub 2008 Dec 19. Population data on 15 autosomal STRs in a sample from Colombia. Sánchez-Diz P, Acosta MA, Fonseca D, Fernández M, Gómez Y, Jay M, Alape J, Lareu MV, Carracedo A, Restrepo CM. Forensic Sci Int Genet. 2009 Jun; 3(3):e81-2. doi: 10.1016/j.fsigen.2008.08.002. Epub 2008 Sep 13. Population data defined by 15 autosomal STR loci in Karamoja population (Uganda) using AmpF/STR Identifiler kit. Gomes V, Sánchez-Diz P, Alves C, Gomes I, Amorim A, Carracedo A, Gusmão L. Forensic Sci Int Genet. 2009 Mar; 3(2):e55-8. doi: 10.1016/j.fsigen.2008.06.005. Epub 2008 Jul 25. Allele frequencies of fifteen STRs in a representative sample of the Italian population. Brisighelli F, Capelli C, Boschi I, Garagnani P, Lareu MV, Pascali VL, Carracedo A. Forensic Sci Int Genet. 2009 Mar; 3(2):e29-30. doi: 10.1016/j.fsigen.2008.05.002. Epub 2008 Jun 20. Capturing all disease-causing mutations for clinical and research use: Toward an effortless system for the Human Variome Project. Cotton RG, Al Aqeel AI, Al-Mulla F, Carrera P, Claustres M, Ekong R, Hyland VJ, Macrae FA, Marafie MJ, Paalman MH, Patrinos GP, Qi M, Ramesar RS, Scott RJ, Sijmons RH, Sobrido MJ, Vihinen M; members of the Human Variome Project Data Collection from Clinic. Genet Med. 2009 Dec; 11(12):843-9. doi: 10.1097/GIM.0b013e3181c371c5. Widespread evidence for horizontal transfer of transposable elements across Drosophila genomes. Bartolomé C, Bello X, Maside X. Genome Biol. 2009 Feb 18; 10(2):R22. doi: 10.1186/gb-2009-10-2-r22. Evaluating new candidate SNPs as low penetrance risk factors in sporadic breast cancer: a two-stage Spanish case-control study. Vega A, Salas A, Milne RL, Carracedo B, Ribas G, Ruibal A, de León AC, González-Hernández A, Benítez J, Carracedo A. Gynecol Oncol. 2009 Jan; 112(1):210-4. doi: 10.1016/j.ygyno.2008.09.012. Epub 2008 Oct 23. A common haplotype of DRD3 affected by recent positive selection is associated with protection from schizophrenia. Costas J, Carrera N, Domínguez E, Vilella E, Martorell L, Valero J, Gutiérrez-Zotes A, Labad A, Carracedo A. Hum Genet. 2009 Jan; 124(6):607-13. doi: 10.1007/s00439-008-0584-7. Epub 2008 Nov 6. Linguistic and maternal genetic diversity are not correlated in Native Mexicans. Sandoval K, Buentello-Malo L, Peñaloza-Espinosa R, Avelino H, Salas A, Calafell F, Comas D. Hum Genet. 2009 Oct; 126(4):521-31. doi: 10.1007/s00439-009-0693-y. Epub 2009 Jun 4. A C-terminal mutation of ATP1A3 underscores the crucial role of sodium affinity in the pathophysiology of rapid-onset dystonia-parkinsonism. Blanco-Arias P, Einholm AP, Mamsa H, Concheiro C, Gutiérrez-de-Terán H, Romero J, Toustrup-Jensen MS, Carracedo A, Jen JC, Vilsen B, Sobrido MJ. Hum Mol Genet. 2009 Jul 1; 18(13):2370-7. doi: 10.1093/hmg/ddp170. Epub 2009 Apr 7. Association of ESR1 gene tagging SNPs with breast cancer risk. Dunning AM, Healey CS, Baynes C, Maia AT, Scollen S, Vega A, Rodríguez R, Barbosa-Morais NL, Ponder BA; SEARCH, Low YL, Bingham S; EPIC, Haiman CA, Le Marchand L; MEC, Broeks A, Schmidt MK; ABCS, Hopper J, Southey M; ABCFS, Beckmann MW, Fasching PA; BBCC, . Hum Mol Genet. 2009 Mar 15; 18(6):1131-9. doi: 10.1093/hmg/ddn429. Epub 2009 Jan 6. Exaggerated status of novel and pathogenic mtDNA sequence variants due to inadequate database searches. Bandelt HJ, Salas A, Taylor RW, Yao YG. Hum Mutat. 2009 Feb; 30(2):191-6. doi: 10.1002/humu.20846. Planning the human variome project: the Spain report. Kaput J, Cotton RG, Hardman L, Watson M, Al Aqeel AI, Al-Aama JY, Al-Mulla F, Alonso S, Aretz S, Auerbach AD, Bapat B, Bernstein IT, Bhak J, Bleoo SL, Blöcker H, Brenner SE, Burn J, Bustamante M, Calzone R, Cambon-Thomsen A, Cargill M, Carrera P, Cavedon L, Cho YS, Chung YJ, Claustres M, Cutting G, Dalgleish R, den Dunnen JT, Díaz C, Dobrowolski S, dos Santos MR, Ekong R, Flanagan SB, Flicek P, Furukawa Y, Genuardi M, Ghang H, Golubenko MV, Greenblatt MS, Hamosh A, Hancock JM, Hardison R, Harrison TM, Hoffmann R, Horaitis R, Howard HJ, Barash CI, Izagirre N, Jung J, Kojima T, Laradi S, Lee YS, Lee JY, Gil-da-Silva-Lopes VL, Macrae FA, Maglott D, Marafie MJ, Marsh SG, Matsubara Y, Messiaen LM, Möslein G, Netea MG, Norton ML, Oefner PJ, Oetting WS, O’Leary JC, de Ramirez AM, Paalman MH, Parboosingh J, Patrinos GP, Perozzi G, Phillips IR, Povey S, Prasad S, Qi M, Quin DJ, Ramesar RS, Richards CS, Savige J, Scheible DG, Scott RJ, Seminara D, Shephard EA, Sijmons RH, Smith TD, Sobrido MJ, Tanaka T, Tavtigian SV, Taylor GR, Teague J, Töpel T, Ullman-Cullere M, Utsunomiya J, van Kranen HJ, Vihinen M, Webb E, Weber TK, Yeager M, Yeom YI, Yim SH, Yoo HS; Contributors to the Human Variome Project Planning Meeting. Hum Mutat. 2009 Apr; 30(4):496-510. doi: 10.1002/humu.20972. Evaluation of DXS9902, DXS7132, DXS6809, DXS7133, and DXS7423 in humans and chimpanzees: sequence variation, repeat structure, and nomenclature. Gomes I, Pereira R, Mayr WR, Amorim A, Carracedo A, Gusmão L. Int J Legal Med. 2009 Sep; 123(5):403-12. doi: 10.1007/s00414-009-0357-4. Epub 2009 Jun 18. X-chromosome STR sequence variation, repeat structure, and nomenclature in humans and chimpanzees. Gomes I, Prinz M, Pereira R, Bieschke E, Mayr WR, Amorim A, Carracedo A, Gusmão L. Int J Legal Med. 2009 Mar; 123(2):143-9. doi: 10.1007/s00414-008-0303-x. Epub 2008 Dec 12. A GEP-ISFG collaborative study on the optimization of an X-STR decaplex: data on 15 Iberian and Latin American populations. Gusmão L, Sánchez-Diz P, Alves C, Gomes I, Zarrabeitia MT, Abovich M, Atmetlla I, Bobillo C, Bravo L, Builes J, Cainé L, Calvo R, Carvalho E, Carvalho M, Cicarelli R, Catelli L, Corach D, Espinoza M, García O, Malaghini M, Martins J, Pinheiro F, João Port. Int J Legal Med. 2009 May; 123(3):227-34. doi: 10.1007/s00414-008-0309-4. Epub 2008 Dec 12. Development of predictive models of proliferative vitreoretinopathy based on genetic variables: the Retina 4 project. Rojas J, Fernandez I, Pastor JC, Garcia-Gutierrez MT, Sanabria RM, Brion M, Sobrino B, Manzanas L, Giraldo A, Rodriguez-de la Rua E, Carracedo A. Invest Ophth Vis Sci. 2009 May; 50(5):2384-90. doi: 10.1167/iovs.08-2670. Epub 2008 Dec 20. Median network analysis of defectively sequenced entire mitochondrial genomes from early and contemporary disease studies. Bandelt HJ, Yao YG, Bravi CM, Salas A, Kivisild T. J Hum Genet. 2009. Prediction of postpartum depression using multilayer perceptrons and pruning. Tortajada S, García-Gomez JM, Vicente J, Sanjuán J, de Frutos R, Martín-Santos R, García-Esteve L, Gornemann I, Gutiérrez-Zotes A, Canellas F, Carracedo A, Gratacos M, Guillamat R, Baca-García E, Robles M. Method Inform Med. 2009. Common variants conferring risk of schizophrenia. Stefansson H, Ophoff RA, Steinberg S, Andreassen OA, Cichon S, Rujescu D, Werge T, Pietiläinen OP, Mors O, Mortensen PB, Sigurdsson E, Gustafsson O, Nyegaard M, Tuulio-Henriksson A, Ingason A, Hansen T, Suvisaari J, Lonnqvist J, Paunio T, Børglum AD, Hartmann A, Fink-Jensen A, Nordentoft M, Hougaard D, Norgaard-Pedersen B, Böttcher Y, Olesen J, Breuer R, Möller HJ, Giegling I, Rasmussen HB, Timm S, Mattheisen M, Bitter I, Réthelyi JM, Magnusdottir BB, Sigmundsson T, Olason P, Masson G, Gulcher JR, Haraldsson M, Fossdal R, Thorgeirsson TE, Thorsteinsdottir U, Ruggeri M, Tosato S, Franke B, Strengman E, Kiemeney LA; Genetic Risk and Outcome in Psychosis (GROUP), Melle I, Djurovic S, Abramova L, Kaleda V, Sanjuan J, de Frutos R, Bramon E, Vassos E, Fraser G, Ettinger U, Picchioni M, Walker N, Toulopoulou T, Need AC, Ge D, Yoon JL, Shianna KV, Freimer NB, Cantor RM, Murray R, Kong A, Golimbet V, Carracedo A, Arango C, Costas J, Jönsson EG, Terenius L, Agartz I, Petursson H, Nöthen MM, Rietschel M, Matthews PM, Muglia P, Peltonen L, St Clair D, Goldstein DB, Stefansson K, Collier DA. Nature. 2009. Molecular diversity at the CYP2D6 locus in healthy and schizophrenic southern Brazilians. Kohlrausch FB, Gama CS, Lobato MI, Belmonte-de-Abreu P, Gesteira A, Barros F, Carracedo A, Hutz MH. Pharmacogenomics. 2009. Prevalence of CYP2C9 polymorphisms in the south of Europe. Sánchez-Diz P, Estany-Gestal A, Aguirre C, Blanco A, Carracedo A, Ibáñez L, Passiu M, Provezza L, Ramos-Ruiz R, Ruiz B, Salado-Valdivieso I, Velasco EA, Figueiras A. Pharmacogenomics J. 2009. Inferring the demographic history of African farmers and pygmy hunter-gatherers using a multilocus resequencing data set. Patin E, Laval G, Barreiro LB, Salas A, Semino O, Santachiara-Benerecetti S, Kidd KK, Kidd JR, Van der Veen L, Hombert JM, Gessain A, Froment A, Bahuchet S, Heyer E, Quintana-Murci L. PLoS Genet. 2009. 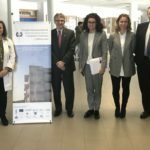 El Grupo de Medicina Xenómica es una unidad de investigación conjunta formada principalmente por investigadores de la Universidad de Santiago de Compostela, de la Fundación Pública Galega de Medicina Xenómica, del Instituto de Investigación Sanitaria de Santiago y del Centro de Investigación en Red de Enfermedades Raras. Nuestras principales líneas de investigación comprenden genética forense, poblacional y evolutiva y la genética de enfermedades complejas así como la mejora continua de las tecnologías y metodologías analíticas empleadas en genómica. - Fundación Pública Galega de Medicina Xenómica. C.H.U.S. Edif Consultas, planta -2. Avda. Barcelona s/n Campus Vida.